GARAKONTIÉ (Garakonké, Harakontie), baptized as Daniel, almost certainly the “sagochiendagehte” referred to in the Jesuit Relation, 1654, Onondaga chief and a leading negotiator with the French from that date until his death in the winter of 1677–78. Although he was apparently not a hereditary chief, Garakontié was highly respected and influential among the Five Nations Iroquois. He was a skilful orator and deeply imbued with Iroquois traditions. He consistently sought to serve the best interests of the Five Nations through a pro-French policy, often in the face of opposition among his own people. The first references to Garakontié reveal him struggling to preserve the general peace of 1653, and Father Jean de Lamberville* later credits him with giving the Jesuit settlement at Onondaga, founded in 1656, warning of the attack which the Mohawks and his tribesmen were planning in March 1658. He played a leading role in bringing about a new truce between the western Iroquois and the French in 1661. In the summer of that year Father Simon Le Moyne visited Onondaga where he was very enthusiastically received. He stayed there while Garakontié led an embassy to Montreal to negotiate with the French. Nine French prisoners were taken along to be released. While en route Garakontié’s party learned of Otreouti’s raid against Montreal. Garakontié persuaded those with him to go on, pointing out that Father Le Moyne’s presence at Onondaga was enough assurance for their safety. He also bought off an Oneida war party, which was planning to stir up trouble with the French. In December 1665 he led another Onondaga, Cayuga, and Seneca mission to Quebec to confirm a new peace, bringing back Charles Le Moyne, who had been a prisoner of the Iroquois. He asked for time to persuade the Mohawks and Oneidas to join in this peace before the French expeditions led by Prouville de Tracy and Rémy de Courcelle were sent against these tribes in 1666. Following the general French-Iroquois peace of 1667, Garakontié did much to promote the work of the Jesuit missions. In 1668 he persuaded Father Julien Garnier* to stay at Onondaga, and brought Father Étienne de Carheil* and Father Pierre Millet* from Quebec. Nevertheless Garakontié remained undecided about being baptized. Perhaps over the years an interest in Christianity that at first was mainly political developed into genuine belief. In any case, in 1669 he finally expressed a desire to be baptized. 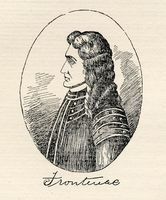 The next year while at Quebec, helping to settle a dispute which threatened to result in the outbreak of war between the Iroquois and the Algonkins, he expressed his enthusiasm for Christianity in such strong terms that he overcame any fears the Jesuits may have had concerning the premature baptism of a man of his importance. Garakontié was baptized in the cathedral of Quebec by Bishop Laval*. 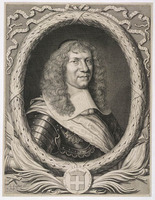 Daniel de Rémy de Courcelle, the governor, whose name Garakontié was given, was his godfather, and Mlle de Boutroue (daughter of the intendant Boutroue d’Aubigny), his godmother. To emphasize how important the French regarded Garakontié’s conversion the governor provided a feast for the assembled tribes. 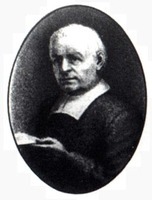 Garakontié led an exemplary Christian life and continued to do much to aid the Jesuits in their work among the Iroquois. The Jesuits, in turn, began to teach him to read and write. While visiting New Netherland he sharply rebuked the Protestants there who ridiculed his faith. This zeal led some of his tribesmen to try to undermine his authority by questioning his sanity and his loyalty to the Onondagas. Nevertheless, he continued to enjoy wide respect and influence in village affairs and in dealings with the Europeans. When the Indian allies assembled to greet Buade de Frontenac at Cataracoui in the summer of 1673, Garakontié was the first to speak for them. He died of an illness in the winter of 1677–78, at an advanced age and was buried in European fashion, as he had wished, by Father de Lamberville. According to the Jesuits, Garakontié was distinguished by his integrity and patience, and by skill in oratory and politics. The policy which he followed unswervingly in his public life was a rare blend of honest dealing and shrewd bargaining, through which he sought to protect the interests of the Five Nations in a time of ever increasing problems in their dealings with the Europeans. He is credited with saving more than 26 Frenchmen from death by torture. 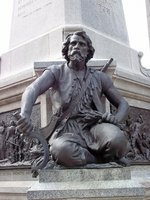 He ransomed these men at various times and kept them until he could persuade his people to release them, often in exchange for Iroquois held by the French. At no time, however, did he become merely a tool of French policy. He seems to have been convinced that the best course for his people was to ally themselves with the French and to learn from them. Like any Iroquois leader, he did not enjoy the unswerving support of his people. In particular, his influence with the French sometimes aroused the jealousy of other chiefs, who sought to hinder him. Nevertheless he was able to play a leading role whenever they became convinced that good relations with the French were desirable. Charlevoix, History (Shea), passim. JR (Thwaites), passim. NYCD (O’Callaghan and Fernow), passim. The reader should note that O’Callaghan does not distinguish between this Garakontié and his brother, who resuscitated the latter’s memory and who is sometimes designated as Garakontié II. Lanctot, Histoire du Canada, I, 312, 313, 320; II, 27, 66, 67. Bruce G. Trigger, “GARAKONTIÉ, Daniel,” in Dictionary of Canadian Biography, vol. 1, University of Toronto/Université Laval, 2003–, accessed April 20, 2019, http://www.biographi.ca/en/bio/garakontie_1E.html.